The never-ending winter is finally over. The school year is drawing to a close. You hear that? Shhhhh. Listen. It’s the clinking of seashells tumbling in the waves, the distant call of a seagull, the squeak of bare toes as they sink into warm, white sand. 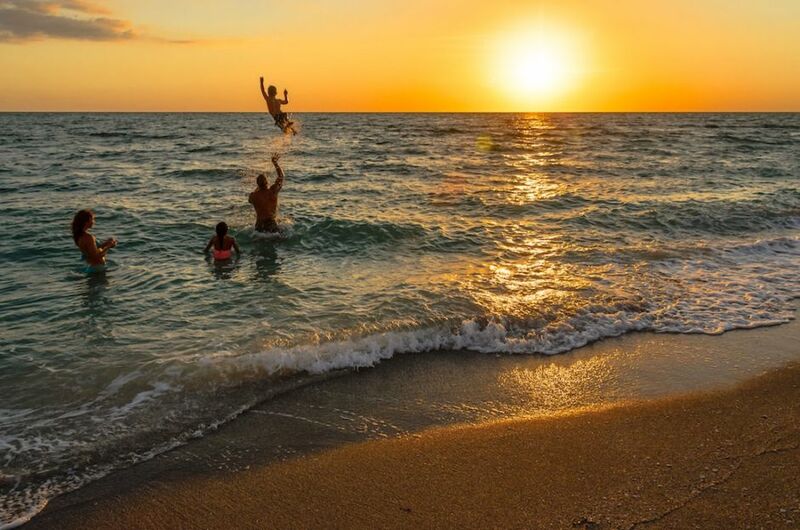 The Beaches of Fort Myers & Sanibel is calling. 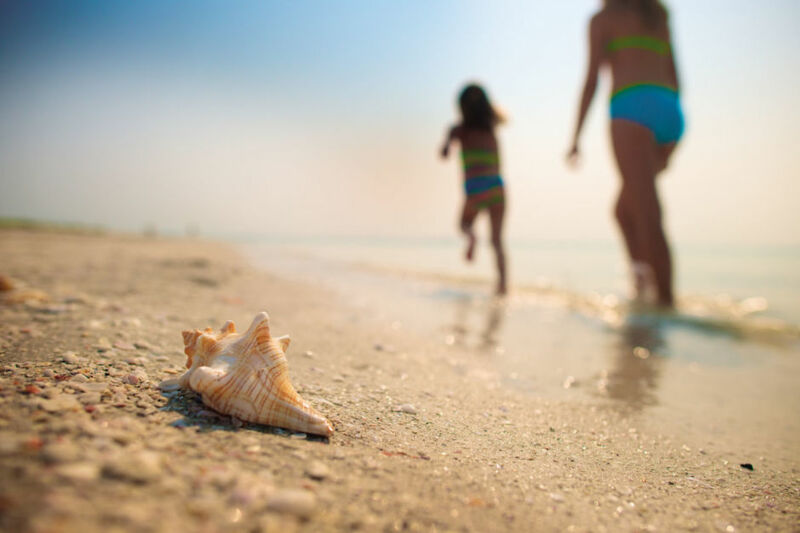 And there’s no time like the present to book your next trip, whether you fancy celebrating National Seashell Day, or just putting together a fun and memorable family vacation. 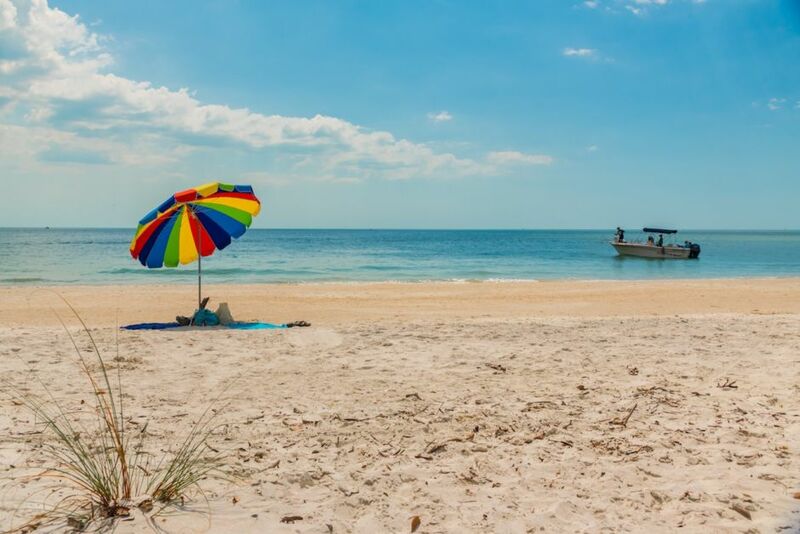 If you’re not sure which sandy patch of Southwest Florida shoreline to make your home away from home, here’s your guide. There are no wrong decisions, just lazy, sun-kissed, oh-so-right ones. From the sawgrass-lined dunes of Bowditch Point Regional Park to the backbays and mangroves of Lovers Key State Park, the shores of Fort Myers Beach go far beyond the sandy variety — though there are plenty of those, too. Bowditch Point Regional Park: This 17-acre preserve covers the entire north end of Fort Myers Beach. Free guided walks during the winter season will give you an inside look at the terrain’s ever-changing features, like the dunes and sandbars altered by storms and the inlets carved by shifting tides. 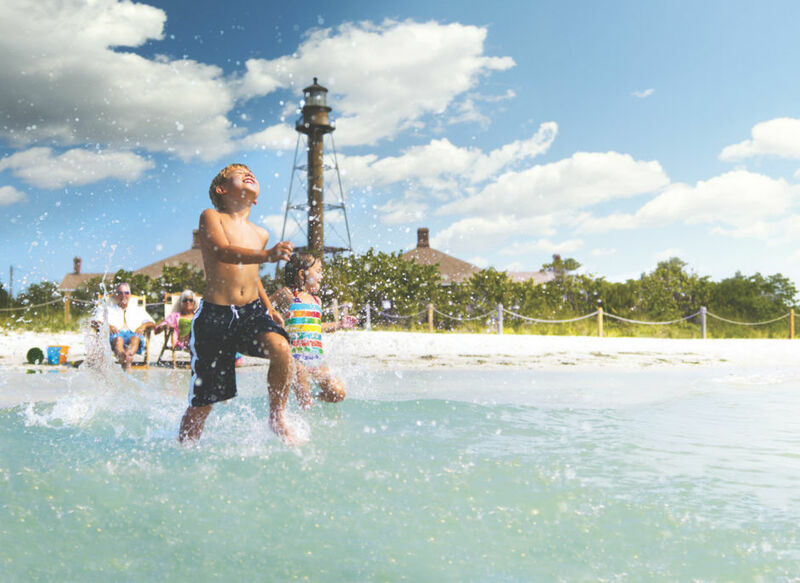 On the back-bay side of Bowditch, tranquil water will lap at your feet as you watch the kids splash and play, and on the west side you’ll get Insta-worthy views of the Gulf of Mexico and neighboring Sanibel Island’s historic lighthouse. When you’re tired of all that 360-degree sunbathing, head to nearby Pink Shell Beach Resort & Marina for a cool drink by the waterpark-style pools or a bite from one of its award-winning restaurants. Pink Shell’s adjacent marina is the perfect place to test your skills as a boat captain, or to just chill out and watch the waves roll in. 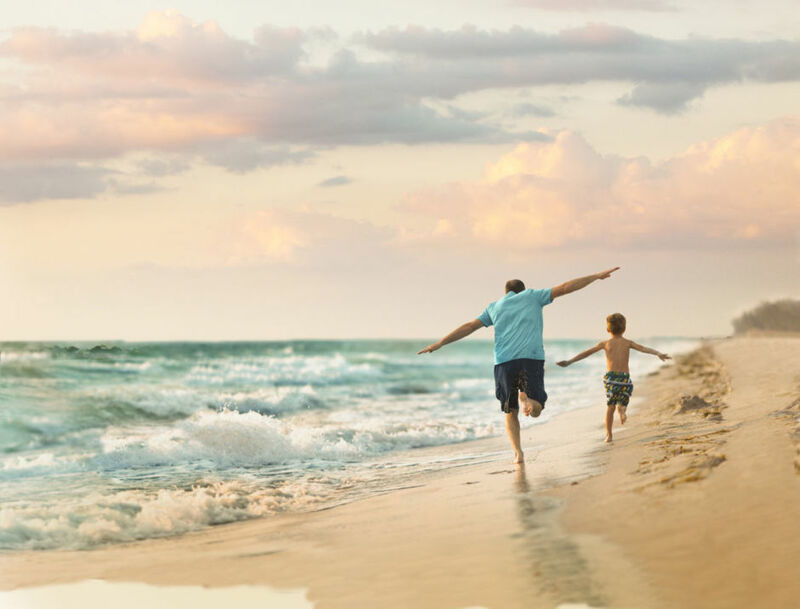 And their pool games and programs like Stargazing on the Beach will make it easy to spend fun time together as a family, if you’re traveling with the little ones. Lovers Key State Park: Way back when, these four barrier islands were only accessible by boat, making them the perfect spot for some alone time — hence the name. Nowadays, the boat is optional and you can meander on the park’s boardwalks or take the tram. 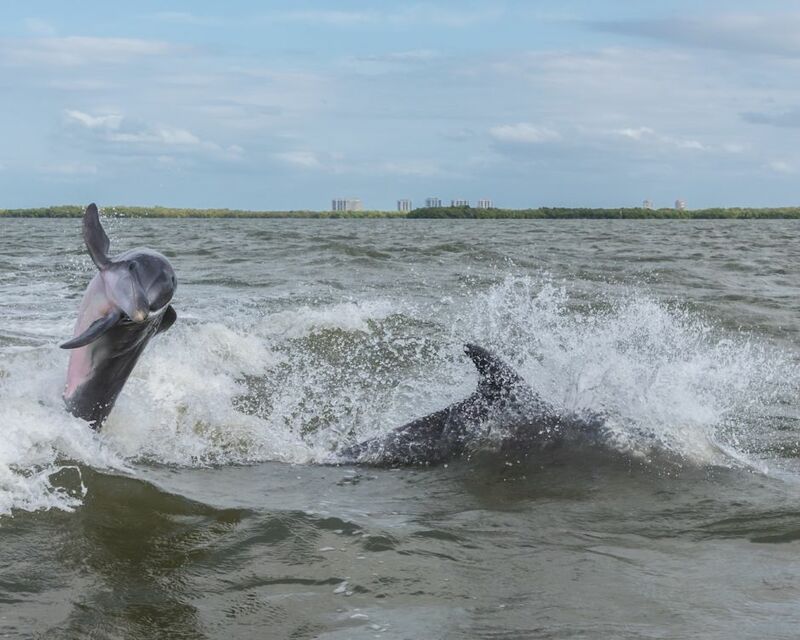 These new additions haven’t made the area any less appealing for relaxed escapades, though, and you’ll find no shortage of spots to sit quietly and watch for manatees and bottlenose dolphins. And if you want to give your feet a rest, kayaks, canoes, paddleboards, and bikes are all available for rent. If you opt for bikes, you can pedal to Black Island, where five more miles of trails await. 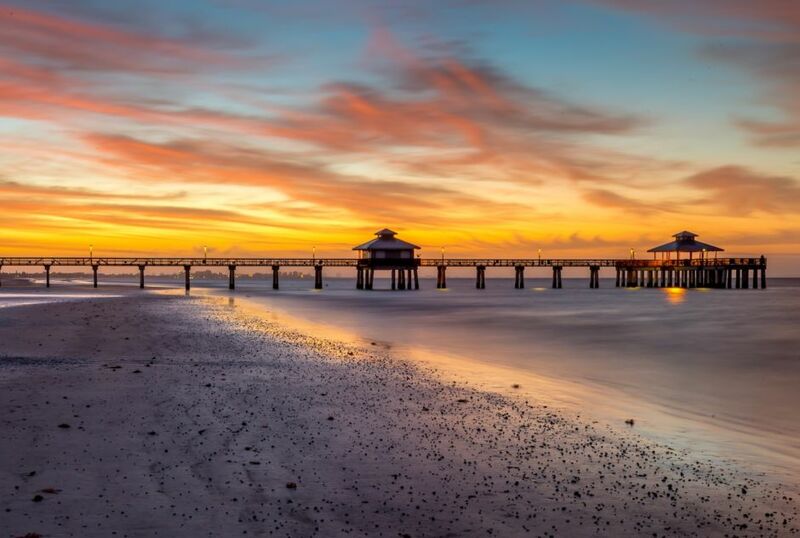 Fort Myers Beach Pier: Stretching more than 500 feet out onto the water, the pier connects the edge of Times Square — the buzzy hub of Fort Myers Beach — with the waters of the Gulf of Mexico. The beaches around the pier are lined with swimsuit-friendly restaurants and surf shops, as one would expect in any beach town worth its salt. Even better, rent a kayak or stand-up paddleboard and explore the mellow waters surrounding the pier. This is a perfect activity for the whole family, especially if you’re introducing the kids to paddling. Roughly a 10-minute walk south, DiamondHead Beach Resort has some of the most stunning — and elevated — views of Fort Myers Beach. Here you’ll find delicious restaurants and recently renovated suites, where the hardest decision you’ll have to make is whether you want a view of the beach or the pool. Add in a beach concierge and guest bicycles to explore the coast and you’ve got yourself just one problem: never wanting to leave. Quiet and quaint — island law prohibits buildings taller than palm trees — Sanibel is ideal for getting into nature (and yes, that includes shell-laden beaches). Causeway Islands Park: These two narrow strips of land, connected by the arching spans of the Sanibel Causeway bridge, join Sanibel Island to the mainland. But this busy thoroughfare has plenty of opportunities to slow down and enjoy some adventure, too — the area is popular with anglers who target the tarpon and drum fish hiding in the shade of the bridge. The open, windswept waters are also ideal for windsurfers and kite boarders, and rental companies on the mainland offer lessons in each. Or just park, pop open your tailgate, and enjoy a sandy sunset picnic from the comfort of your car. When you’re finished, take the causeway back to the island for a stay at the classic Casa Ybel Beach Resort. Sitting on 23 acres of Sanibel’s most pristine white-sand beaches, Casa Ybel offers beachfront restaurants, sailing charters, and plenty of spots for some sunrise yoga. It’s also rated one of the top family resorts in North America, making it a great pick if the kids are tagging along. Lighthouse Park Beach: On the eastern tip of Sanibel, surrounded by seagrass-spiked dunes, stands the island’s only lighthouse. Built in 1884, the iron structure rises 98 feet into the sky. 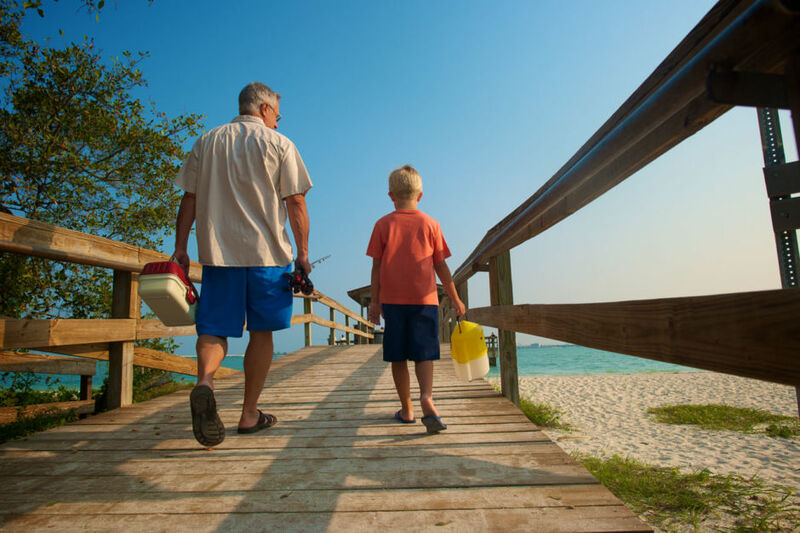 Its surrounding beaches are ideal for families, filled with shells for gathering, calm Gulf waters for swimming, and plenty of trees for shade. The beach wraps around to the north side of the island for views of San Carlos Bay and the causeway. Head the opposite direction along the shore for a stay at Sundial Beach Resort & Spa, where your vacation can continue with more shell-lined beaches, tennis courts, golf, stand-up paddleboarding, and a full-service spa. Bowman’s Beach: Isolated with nary a building in sight, Bowman’s is the beach for when you need to leave the world behind. The walk from the parking lot is about five minutes, but arriving at this expansive stretch of shell-studded sand makes it well worth it. Once you’re there, head in either direction and you’re sure to find a patch of beach all your own. Tip: Stay close to all the shell action at the Beach Cottages of Sanibel. Their one- and two-bedroom cottages are totally darling, literally steps from the Gulf, and you’re right on a bike path, too (rent onsite and you’re off!). This is one of the four properties of Sanibel Captiva Beach Resorts, which has you covered no matter what your plans are for enjoying Sanibel Island and its neighbor to the north (more on that below). Artsy, cozy, and easily walkable, Sanibel’s northern neighbor is home to warm Gulf waters and all the island time you need to enjoy them. Captiva Beach: These wide expanses of sand lead right into the blue-green Gulf of Mexico. Waves tend to be a bit bigger here, making the area great for boogie-boarding and body surfing. Real surfers even dive in on stormy days when the winds are pushing just right. Parking in the area is limited, making a stay at the nearby ‘Tween Waters Island Resort & Spa even more appealing. It’s located near the narrowest point on the island (hence the name), with awesome drape-lined cabanas around its tranquil Serenity Pool (or have a splashier time at the Play Pool). Those wanting to go all-in can opt for parasailing, kayaking, or jet ski and boat rentals, each available onsite. ‘Tween Waters is also home to restaurants that offer everything from fine dining to casual lunches — including dining of the poolside, under-the-umbrella, cold-beer-in-hand variety. It’s like being in your backyard…just, you know, with one of the world’s most beautiful beaches steps from the door.